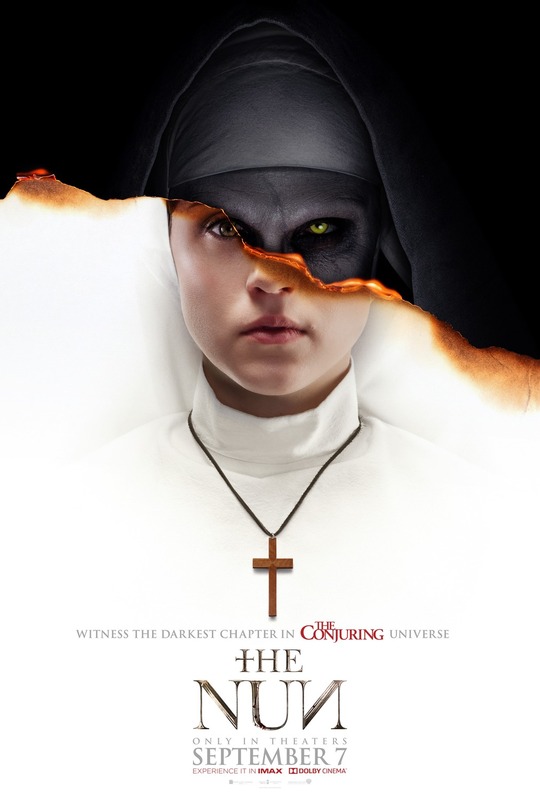 The Nun is the second spinoff from The Conjuring series and even though there is a solid set up and strong cast it’s a terribly generic entry. Corin Hardy seem intent on hitting just about every religious horror cliché as he guides his film from one jump scare to another. Taissa Farmiga and Demián Bichir carry the film ably even if their characters are just overused tropes we’ve all seen before. Farmiga is solid in her role but it’s a bit distracting that she looks like a carbon copy of her sister. A fact that the film doesn’t bother using as a plot point, even though it’s a gift wrapped bit of casting magic. Bichir is his usual strong self but the film doesn’t really take advantage of his acting chops. Jonas Bloquet seems out of place as a French Canadian living in Romania which is as silly as it sounds. The Conjuring films have always had a certain level of quality which makes the films special. Sadly, the spinoffs have been built around cheap jump scares and recycled tropes making them utterly forgettable.